Two weeks ago, my wife Allison and I sat on a blanket in the backyard of our veterinarian's office. It was a beautiful November evening. The yellow and orange leaves on the trees shined brighter than the setting sun. Our dog, Lucy, lay on a bed of leaves that had already fallen, unable to hold onto life much longer. Lucy was a mutt. Twelve years ago, she was left for dead as a puppy at a kill shelter in North Carolina until a wonderful organization called Homeward Trails in Northern Virginia rescued her. They fostered her and fed her and posted her picture on Petfinder.com. 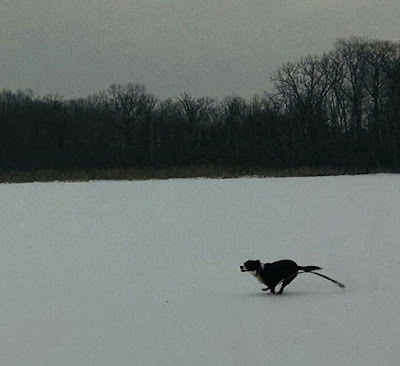 When Allison and I first saw her online, we saw something in her photo that told us there would be something different about this ten-month-old dog. I know people tend to project their own emotions and expectations onto their pets, but in this photo, Lucy had a look of untamed enthusiasm in her eyes. 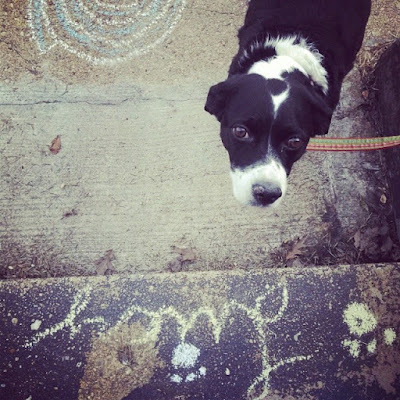 We contacted Homeward Trails and learned she would be at an upcoming dog adoption event. We drove to the event a few days later excited to meet her, only to learn that another family had adopted her. We met another dog, Trevor, who seemed sweet, and decided to adopt him. When we contacted Homeward Trails again, they informed us that Lucy did not like the horses that the other family had, so they had traded her in for Trevor. We made quick plans to meet Lucy, and when we did, we were hooked. 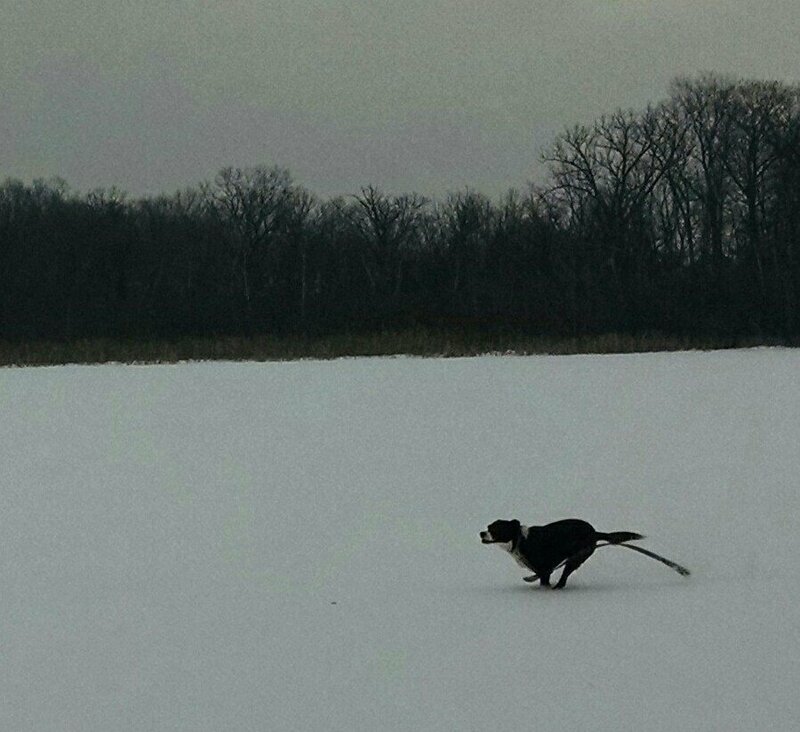 Sprinting across a lake during her last year winter. Untamed enthusiasm was an understatement. Lucy ran around the house of her foster family chucking toys across the room and then leaping to catch them in her mouth. I was a little afraid of taking this wild boar into a one-bedroom condo, but her exuberance was contagious. Allison and I took her home.